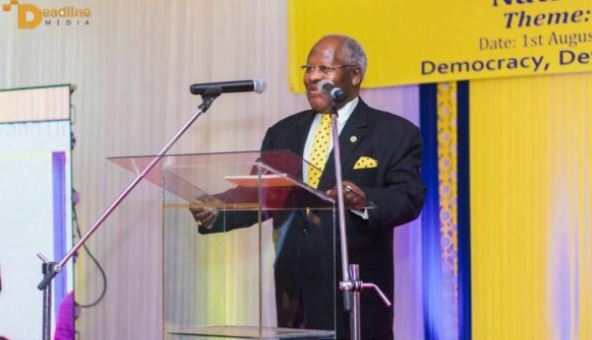 Former President of Malawi Dr. Bakili Muluzi has called upon Malawians to respect leaders in the country and desist from castigating leaders. Muluzi was speaking at the opening of the United Democratic Front (UDF) convention at Comesa hall in Blantyre. He asked Malawians to stop castigating leaders saying “it is not a Malawian culture”. “U cannot refer the president as “mtchona”, that is not acceptable. Whether we agree with him or not but that is lack of respect for our leaders. “Politics of castigation is not good. I call upon all political leaders to refrain from political castigating each other.” He said. Some of the political leaders present from the ruling party, Democratic Progressive Party (DPP) were Secretary General, Grezerder Jeffery, Vice president for the South Kondwani Nankhumwa and the regional governor for the South Charles Mchacha among others. At the convention, party’s President Atupele Muluzi went unopposed following the withdrawal of Lucius Banda’s candidature.